Las Vegas, Nevada – The Jordan Brand Classic, now in its 18th year, will host the greatest male and female high school basketball players as they look to own the game and take the big stage. JBC is a celebration of the next generation of basketball stars and features the top high school talent in the country. For the first time the brand’s marquee event will be held at Las Vegas’ newest sports and entertainment venue, T-Mobile Arena. The double-header will be held on Saturday, April 20 with the Girls Game tipping off at 3:00 p.m., followed by the Boys Game at 5:00 p.m. PST. Rosters for the boys’ and girls’ Jordan Brand Classic teams can be found below. Tickets are available now at www.axs.com and the T-Mobile Arena Box Office. 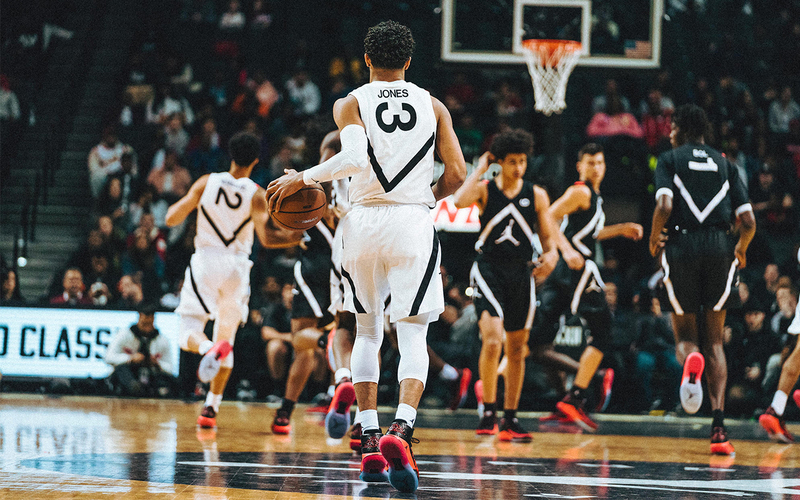 The Jordan Brand Classic is a unique opportunity for the best high school seniors to bond and compete, following in the footsteps of superstars like Carmelo Anthony, Anthony Davis, Kevin Durant, Blake Griffin, LeBron James and Chris Paul. The Girls Game was established in 2015 and has been hosted by Jordan Brand family member Maya Moore.